Cunniffe elected to position in 2014. Tom Cunniffe has stepped down as chairman of the Board of Aurivo. A native of Breaffy, Castlebar, and a dairy farmer, directors of the co-op elected him to the position in July 2014. He graduated with a Diploma in Corporate Direction following a short course promoted by ICOS – the Irish Co-operative Organisation. 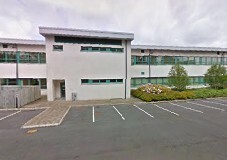 Actions progressed by Aurivo in the last few years include the relocation of its headquarters and staff from Tubbercurry to offices in a business park at Finisklin, and the transfer of its milk processing from the outskirts of Sligo to Donegal. The co-operative also announced the ending of the Connacht Gold butter operations at the more than 100-year-old Achonry facility and its transfer to Cork-based Ornua, formerly the Irish Dairy Board, with the reputed loss of 23 jobs at the Achonry site. Ornua, of which the chairman of the board is Aurivo CEO, Aaron Forde, transformed the company’s corporate identity from the Irish Dairy Board to Ornua in March 2015. Ornua’s Bord of Directors also includes the Mayo-based farmer and President of the ICMSA, John Comer, Boleyard, Shraheens. It is not clear why the decision to switch the Achonry butter operations from South Sligo to the Kerrygold butter production and packing plant in Cork was taken. According to RTE, Ornua has revealed in its annual report that it paid a total of €9 million to its top nine executives over 2014 and 2015. The report, says RTE, also showed that the amount it paid in directors’ fees increased by 44% over the previous two years. At the end of May, Aurivo announced that “For Goodness Shakes ready for Hell! Previous PostPerry finally pulls off mammography unit for Sligo.Next PostFor Goodness Shakes ‘allusion to masturbation’ advert banned by British ASA.